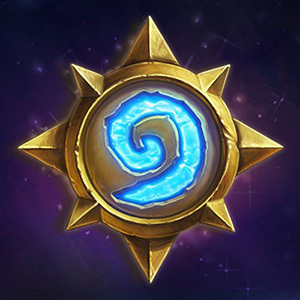 Hearthstone, originally known as Hearthstone: Heroes of Warcraft, is a free-to-play online collectible card video game. The game is a turn-based card game between two opponents, using constructed decks of thirty cards along with a selected hero with a unique power. Players use their limited mana crystals to cast spells or summon minions to attack the opponent, with the goal to reduce the opponent's health to zero. Winning matches can earn in-game gold, rewards in the form of new cards, and other in-game prizes. Players can then buy packs of new cards through gold or microtransactions to customize and improve their decks.